R. J. Culpepper, 1M20+, 1M10-19, 1M0-9, 1F20+, 2F10-19, 2F0-9. + Lourainey Culpepper, 8 Jun 1833 - 2 Jan 1894. Margene Hemrick Black, compiler, 1889-1895 Reconstructed Census of Marshall County, Alabama, Guntersville, Alabama: Past and Present Publications, 199_?, Repository: LDS Family History Library - Salt Lake City, Call No. US/CAN Book 976.194 X2bm. Tax Assessors Records of 1889 (page 4): J. J. Culpeppe, R. J. Culpepper, W. H. Culpepper. Carl Winston Culpepper, Union Grove, Marshall Co., AL, age 22, born 5 May 1895 in Albertville, Marshall Co., AL, Farmer, Married, Caucasian, Has a wife and child to support, Short Height, ? Build, Brown Eyes, Dark Hair, No disabilities, Registered 5 Jun 1917 at Marshall Co., AL. Effie A. Culpepper, Dau, F, Wh, Feb 1900, 3/12, sng, AL/AL/AL. Effie J. Culpepper, Dau, F, Wh, 10, sng, AL/AL/AL. Arrellia Culpepper, Dau, F, Wh, 19, sng, AL/AL/AL. Gerald Culpepper (correct name: Gerald Cooley), GrandSon, M, Wh, 1 1/12, sng, AL/AL/AL. E-mail written Feb 2010 to Lew Griffin from Christopher Garrison, e-mail address. William L. Culpepper died 22 Jul 1941 in Marshall Co., Alabama. Mary E. Culpepper died 1 Apr 1949 in Marshall Co., Alabama. Paul Johnson, Arab, AL, gives date of marriage as 28 Apr 1915. Paul Johnson of Arab, AL, gives date of marriage as 23 Nov 1914. Spelling of his name is from his tombstone. The following column by Will I. Martin from an unknown source was preserved by Mary Lillian (Butler) Pierce: THE FIREMEN WHO WORE SILK TOP HATS, TAILS Gadsden once had a fire department, most of the members of which frequently attended and fought fires in full dress suits. That's right, Tails, top silk hats, bow ties, expansive shirt fronts and everything. There was never anything like it in any other city in the world, before or since. It all came about when the entire department, including Chief Gus Woodliff and Assistant Chief Frank Culpepper went on strike. 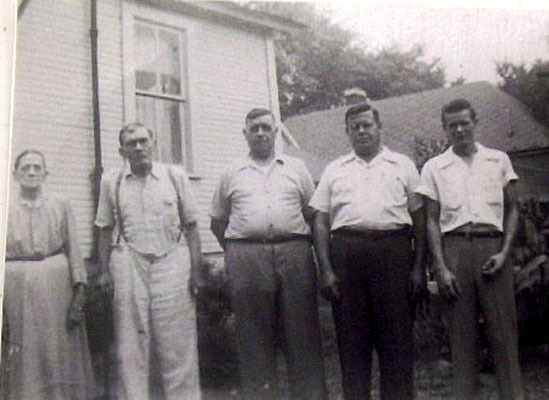 The men quit when the city council decided to move the hose wagon from the Bellenger livery stable on Court Street to the Sullivan stable on South Fourth Street where the McCleskey brothers now hold forth. The council took the action without consulting the firemen and they believed that the Court Street stand was the best, because it was more centrally located and also because the alarm bell was hung in a tall steel tower just across the street in the courthouse yard. When the strike was announced the council hastily organized a new company comprised by kids fresh out of college and youthful members of the society set. They were mostly sons of large property owners and factory heads. A game but inexperienced lot. The strike lasted several months, during which the kids were kept busy answering alarms. Every time they had a full-dress dance at the Printup or elsewhere an alarm came in, usually due to a blaze in some outhouse or shanty. They rushed from the dance hall in their monkey suits and occasionally they returned to the dance, but most or the time they had serious job on their hands. The biggest fire during that period was the one that destroyed the Kyle sawmill on the river bank just off First Street. They did splendid work there by saving the planing mill and a huge quantity of lumber. The old firemen called them "dudes" but soon learned to respect them and occasionally, they helped in fighting a stubborn blaze. John S. Paden Jr. was chief of the so-called society crew and was later succeeded by Will P. Gwin. The council paid the boys one dollar a fire and it was a common remark that they would get rich on the numerous blazes that occurred in an old shop building at Locust and Sixth streets. Frank Culpepper who assistant chief when the firemen went on strike said the other day that the trouble was finally ironed out and that the experienced firemen, mostly working men, went back into service. He was a member when the first motor truck was bought and was a member of the city council when the second one was purchased. The two - horse hose truck was replaced and later Frank became chief. In 1912 he attended the national convention of Fire chiefs In Denver, Col. In 1913 he quit because the council wanted to do away with the chief's horse and buggy and mount him on a motorcycle. Mr. Culpepper served as alderman during the administrations of Mayors W. P. Johnson, W. E. Wier and O. J. Stocks. He was born in Randolph County and came here 50 years ago. One of his first acts was to join the fire department, a voluntary organization that never drew any pay. A blind horse named "Bill" pulled the hose wagon then. Mr. Culpepper worked in several shops as a mechanic and then went to the A. J. Stove Foundry to do odd jobs in all departments until he was appointed master mechanic. He served the company for 35 years and six months. He will be 78 years old Aug. 25 next. He is rated as a man of the highest character and is universally regarded as one of the substantial citizens of Gadsden. Marriages from Marshall County Newspapers (page 65): Frank M Culpepper married Willie F. Gamble in 1889. Lola Culpepper, Dau, F, Wh, Oct 1897, 2, sng, AL/AL/AL. Lola Culpepper, Dau, F, Wh, 12, sng, AL/AL/AL. Jerry Culpepper, Grandson, M, Wh, 5, sng, AL/AL/AL. Willie H. Culpepper, Wife, F, Wh, 58, md@18, AL/AL/AL. Francis M. Culpepper died 6 May 1951 in Etowah Co., Alabama. Willie G. Culpepper died 9 Aug 1959 in Etowah Co., Alabama. 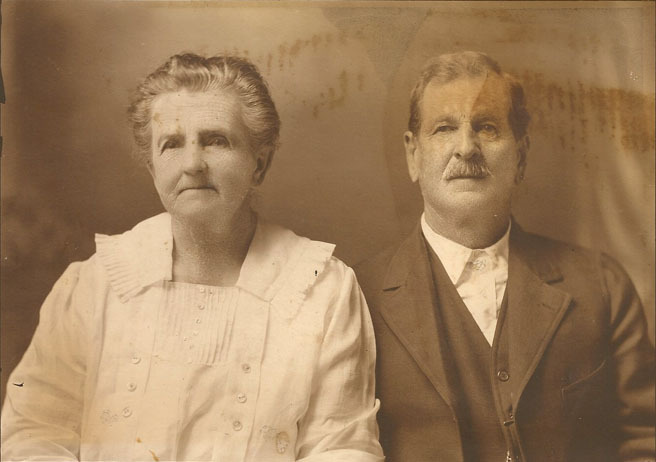 Arkansas B. Culpepper married Thomas Williams on 18 Jul 1896 in Cullman Co., Alabama, Book 3-162. Charlie J. Williams, Grandson, M, Wh, Jul 1887, 2, sng, AL/--/AL. 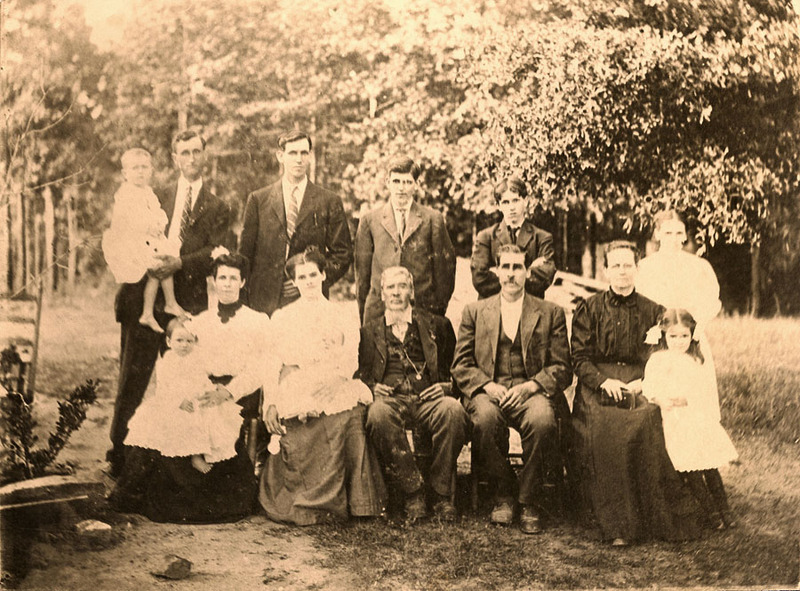 Levada Culpeper married William A. McLeod on 14 Mar 1894 in Cullman Co., Alabama, Book 2-569. Biography* � John Jefferson Culpepper's mother died, if not as the result of his birth, then soon thereafter and he appears to have been raised by his grandparents, John Jefferson and Catherine (Bell) Culpepper. Since his father, William Washington Culpepper, appears to have married in Chambers Co., AL in 1853 and again in 1855, this is where John Jefferson Culpepper is presumed to have been born. As an infant, he apparently moved with his grandparents and their extended family to Randolph Co., AL where John J. Culpepper was noted in the 1860 and 1870 census living with his grandparents. Probably in order to avoid confusion with his grandfather, the marriage bond was issued for Jefferson J. Culpepper and William W. Culpepper for $200 and he signed it "J. J. Culpepper." The marriage license was also issued for Jefferson J. Culpepper and Sarah Carlisle on 21 Dec 1875. W. H. Culpepper, M.I. signed that he had married them on 23 Dec 1875. The bond and license were issued in Tallapoosa County, AL but a granddaughter, Aileen Culpepper, wrote 12 Jul 1979 that the wedding actually took place "near Wadley" which is in Randolph Co., AL. Since the couple was married by their great-granduncle, W. H. Culpepper, perhaps they were married at his home near Wadley. Southern Division, Randolph Co., Alabama; Roll M653_22; Page 844; Image 450; Family History Library Film: 803022. John J. Culpeppert, 6, M, AL. Township 22, Randolph Co., Alabama; Rol M593_37; Page 572A; Image 692; Family History Library Film 545536. Simon L. Culpepper, 3, M, Mulatto, AL. Barbra A. Culpepper, Dau, F, S, W, 1, AL, ---, Fa: AL, Mo: GA.
Belon Baxley Culpepper, 30, of Anson (Jones Co.), Texas, born 17 Nov 1886 in Truett, Alabama. Self employed as a farmer. Single, Caucasian with his parents as dependents. No prior military service. Claims exemption from service due to dependent relatives. Tall, Stout, Brown eyes, black hair, not bald and no disabilities. Registered 5 Jun 1917 in Jones Co., Texas. Malon Maxley Culpepper, 30, of Anson (Jones Co.), Texas, born 17 Nov 1886 in Truitt, Alabama. Self employed as a farmer. Married, Caucasian with wife as a dependent. No prior military service. Claims exemption from service due to dependent wife. Tall, Stout, Brown eyes, black hair, not bald and no disabilities. Registered 5 Jun 1917 in Anson, Jones Co., Texas. Jonnie Culpepper, Daughter, F, 6/12, S, TX AL AL. E-mail written Oct 2011 to Lew Griffin from Sylvia Miller (Mrs. Leland Ray Miiller Jr.), Weatherford, OK, e-mail address. Jonnie Culpepper, Daughter, F, 10, S, TX AL GA.
Wm. Washington Culpepper died Feb 1918 in Marshall Co., Alabama. 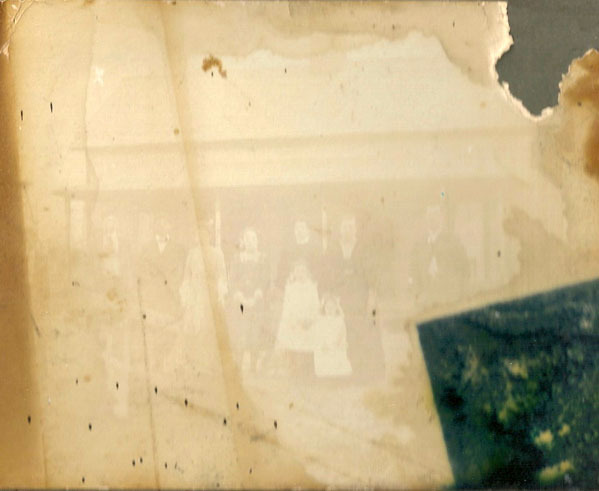 + Aunt Fereby Culpepper, 11 Aug 1834 - 18 Nov 1911. Ellis E. Culpepper, Wife, F, 63, M, TX GA? GA.
Sarah C. Culpepper, Wife, F, 73, M, md@18, AL AL AL. 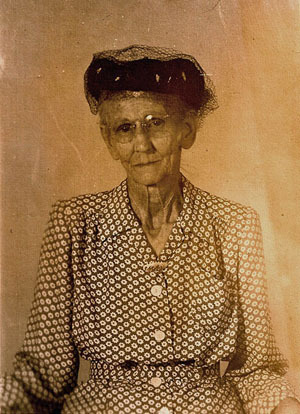 J. J. Culpepper (Mrs.), Jones Co., May 12 1934, 23601. John Jefferson Culpepper, Jones Co., Aug 9 1934, 47600, but tomb stone has 11 Aug 1934. Sarah E. Culpepper, 10 Nov 1856 – 12 May 1934. 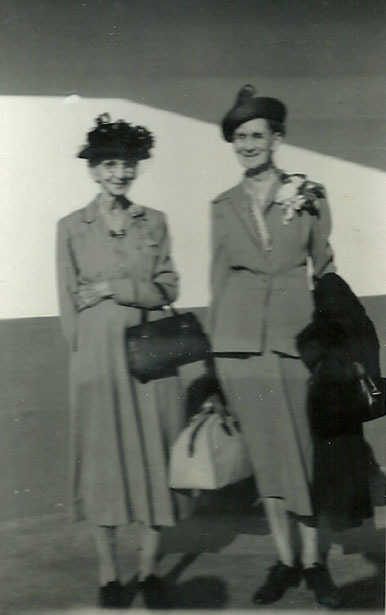 Biography* � Mary Lillian Butler Pierce wrote 26 Jul 1979: Cousin Nancy Ann Frances Elizabeth Alice Culpepper Busby, we called her cousin Fannie. When she was old she was so stooped over from hard work, I guess. We felt sorry for her, too. She took care of her parents, Uncle Bill and Aunt Fereby. Cousin Fannie was an angel. 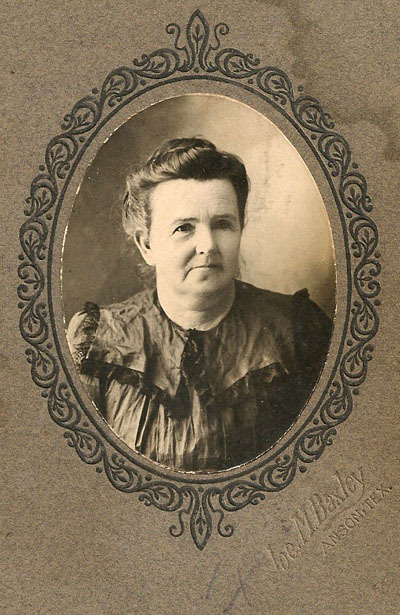 Jerba Culpeper (2-p) (Mrs.) died 18 Nov 1911 in Marshall Co., Alabama. Ellen A. Culpepper, Dau, F, S, W, 2, AL, ---, Fa: GA, Mo: GA.
+ William Joel Culpepper, 29 Aug 1860 - 19 Jul 1891, s/o Mr & Mrs W. W. Culpepper. "Pineville Cemetery", Chattahoochee Valley Historical Society, 1977. + Thomas W. Culpepper, 18 Oct 1886 - 10 Jun 1906. (Mabel D Jul 1888 AL in hh of Margaret N Culpepper). Margaret Culpepper, d. 5 Dec 1950 at 90 years in Baldwin Co., GA; Res. in Troup Co., GA.
Robert Benjamin F. Culpepper was born near Louina on land that is south of what is now Wadley in Randolph Co., AL near the Chambers Co., AL border off of Route 22. He apparently remained there the rest of his life. John William Culpepper, great-great-great-grandson of John and Nancy (Gillespie) Culpepper, believes that this is the same land that John Culpepper owned when he died in 1855. 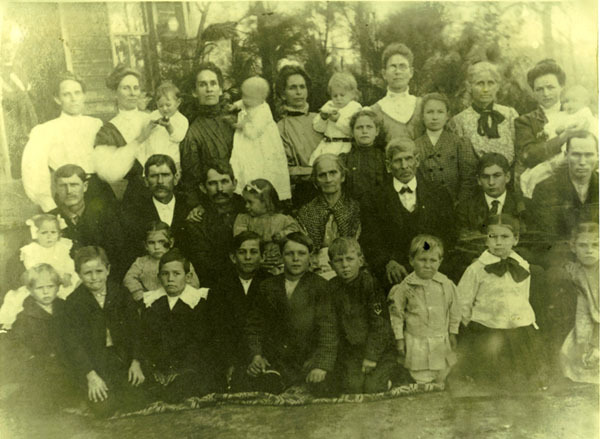 Robert Benjamin was recorded in his father's household in 1870 and in 1880 and Robert emerged as a head of household in the 1900 census of Randolph Co., AL, apparently remaining behind, possibly caring for his grandfather, John Jefferson Culpepper, when his father moved to Marshall Co., AL. 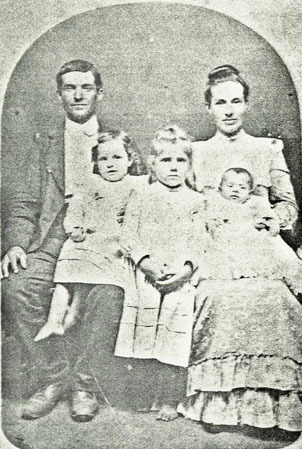 Robert B. Culpepper was also noted with his wife, children and his mother-in-law in the 1910 census of Randolph Co., AL. On 26 July 1979, Mary Lillian Butler Pierce wrote of Robert Benjamin F. Culpepper "Cousin Benny Culpepper would visit us in the summer. He had palsy, so they called it then, his head would shake and his hands, he could hardly eat." In a 29 Mar 1981 letter, Mrs. Pierce continued: Cousin Benny visited us in 1931 from Wadley, AL. He hands and head would shake so much, that food would all shake off his fork or spoon before he could get it in his mouth. And in those day's people poured a little coffee in the saucer and drank it from the saucer, time he would get the saucer to his mouth, the coffee would all be spilled on my mother's white table cloth. We all felt so sorry for him, and we would want to help him or feed him. He would only laugh at us, and insist on feeding himself. Mrs. Eleanor Culpepper Willingham wrote in a 28 Sep 1987 letter: We found a man whose wife [Mrs. M. A. (Inez Culpepper) Champion?] was related to the Benjamin descendants. There is a beautiful fairly new "more or less colonial" type house which was built on site of Benjamin's home place in Randolph Co. The original house burned but the original barns and other houses used for various reasons still stand. One was the smoke house. As well as I can remember he said g.g. grandfather John William lived in this neighborhood. 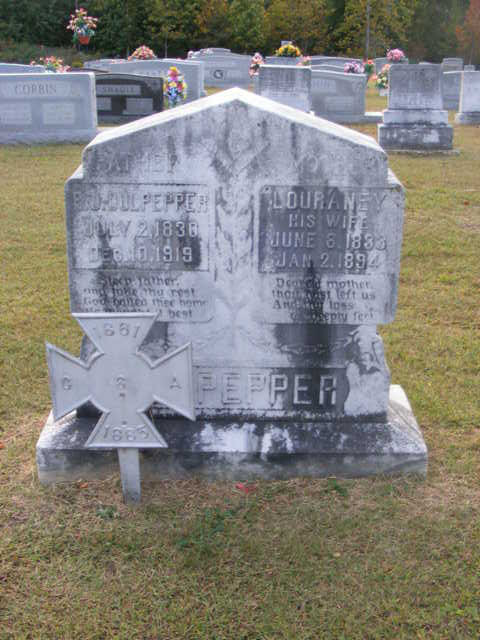 He told us how to locate old Beulah Cemetery, which we found [see John William Culpepper below, is this off of Route 22 near the Chambers Co., AL border?]. In a lot there is a rather large marker which is at the head of 3 graves. The names on the marker are: R-Benjamin-1864-1946-Dora Virginia 1864-1948-Obera Rebecca-1895-1926. The marker Pink Marble. This Mr. Smith (I believe that was his name) [Champion?] said there is a cemetery down by the [Tallapoosa] river - which would be almost inaccessible. He had never heard that John Wm & Nancy were buried there but said it could be a possiblity. Charles Washington Culpepper, White, born 10 Nov 1888 in Wadley, Randolph Co., Alabama; resided in Arlington (city), Virginia; Contact: Stanley Monroe in Arlington, Virginia; Employed by U.S. Horticultural Station at Beltsville, Maryland; Height 6’ 0”, Weight 175, Blue eyes, Brown hair, Light complexion, left leg enlarged; Registered 27 Apr 1942 in Arlington (city), Virginia. Herman Curtis Culpepper, 27, Oakhurst, San Jacinto Co., Texas. Born 19 Sep 1889 in ?? Alabama; Employment ??. Married with children; Caucasian; No prior military service; Claims exemption from service due to dependent family; Medium height, Medium build, blue eyes, dark brown hair, not bald, no disabilities. Registered 5 Jun 1917 in San Jacinto Co., TX. Tax Assessors Records of 1895 (page 24): J. M. Culpepper & T. W. Culpepper. Pansy C. Culpepper, Dau, F, Wh, Nov 1897, 2, sng, AL/AL/AL. Panzey Culpepper, Daughter, F, 12, S, AL AL AL. 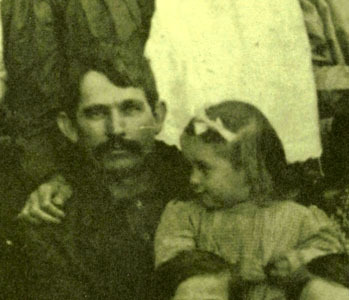 T. W. Cullpepper, died 6 Jun 1913 in Foard Co., TX. 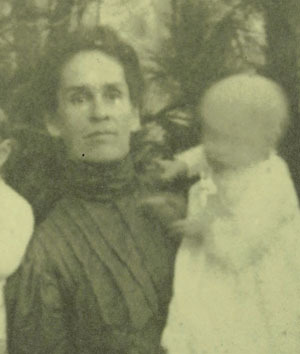 Lela E. Culpepper, 14 Jul 1871 – 26 Jun 1960. Lela Culpepper, Boarder, F, 40-48?, WD, AL AL AL. Lela Culpepper, Mother-in-law, 58, wid, md @ 17, AL/AL/AL. Lela Eola Culpepper, died 26 Jun 1960 in Leon Co., TX. Biography* � Thomas Curtis Moon wrote the following letter to his parents: Union Parish Shiloe La. Nov 20th 1881 _______________________To Y.A. Moon Dear father & Mother brothers & sisters it is With pleasure that I seat myself to drop you a fiew lines to Let you no that we have reached La. safe and had very good luck we landed at Monroe the 3rd day after We lef you in Taladiga I like the country very well so far we Just Landed at Jessy Hordies last evening the people Hear seame to be in very Good Health Corn is seling hear for one dollar per bushel meat from 12 1/2 to 15 cts pickle meat is seling in Monroe at 8 cts flour at ten dollars per barel I can get hear for work Every day that I Work one dollar per day and get the money Every night if I want it the Water is good hear in the morning I Will start out to get me a home for next year thare several that wants me for next year I will get me a home some where Closeby hear To my trip just cost me forty one dollars & 60 sents for transpotation Too Tel all of the children to rite to me as soon as they can I think that I will Like the Contry fine with what I have seen of it it is very cold hear now so I will close for this time hoping to hear from you all Soon My Love to all Direct Your letters to Union Parish to LA. ______________________________Thos. C. Moon. James MILLIKAN, brother, 23, GA, GA, GA.
E-mail written Mar 2009 - Jul 2011 to Lew Griffin from Paula Lowry Riley, 138 Whisperwood Lane, Madison, AL 35758, Phone 256-461-8039, e-mail address.